This 1-day skills workshop teaches the Inductive Bible Study Method. 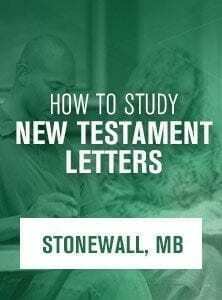 Learn observation, interpretation and application skills for a New Testament Letter Apply Inductive Bible Study skills to a New Testament Letter Overview a New Testament Letter Observe a chapter Learn to use online word study tools Register Early! Price increases on Sunday April 7, 2019 at 11:59 pm EST.